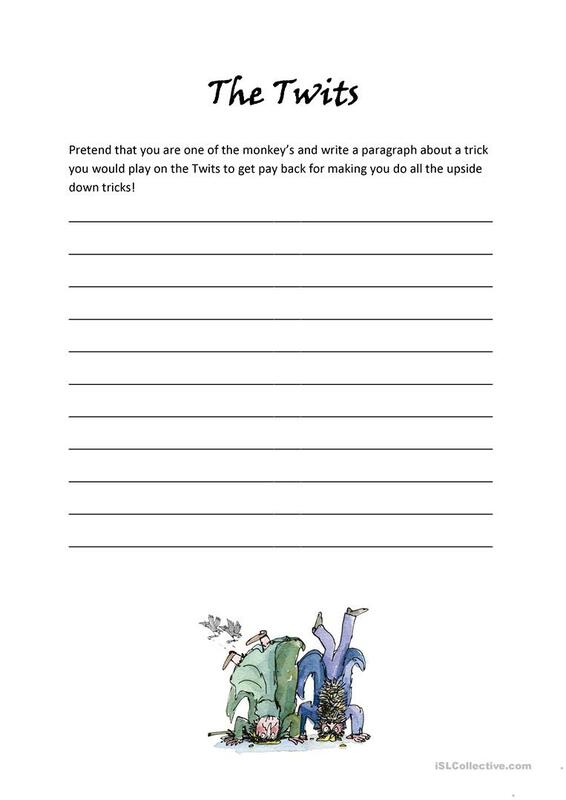 Pretend that you are one of the monkey’s and write a paragraph about a trick you would play on the Twits to get pay back for making you do all the upside down tricks! The above downloadable handout is meant for elementary school students at Pre-intermediate (A2) level. It is a valuable material for strengthening your pupils' Writing skills. missryan32 is from/lives in Australia and has been a member of iSLCollective since 2012-06-27 10:21:02. missryan32 last logged in on 2012-06-27 10:21:50, and has shared 1 resources on iSLCollective so far.